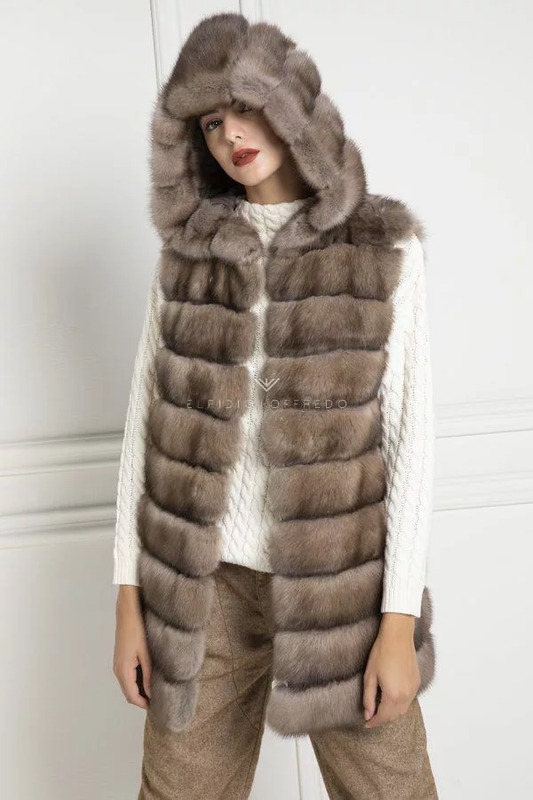 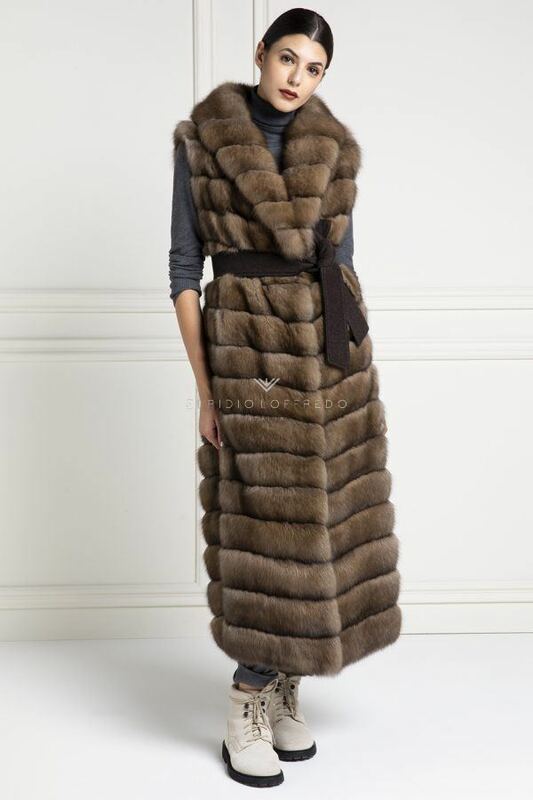 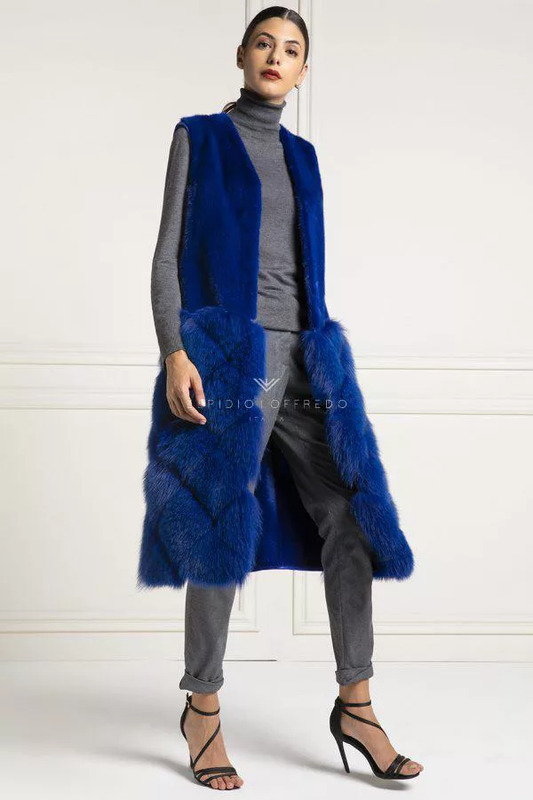 Swakara vest with mink with whole skins. 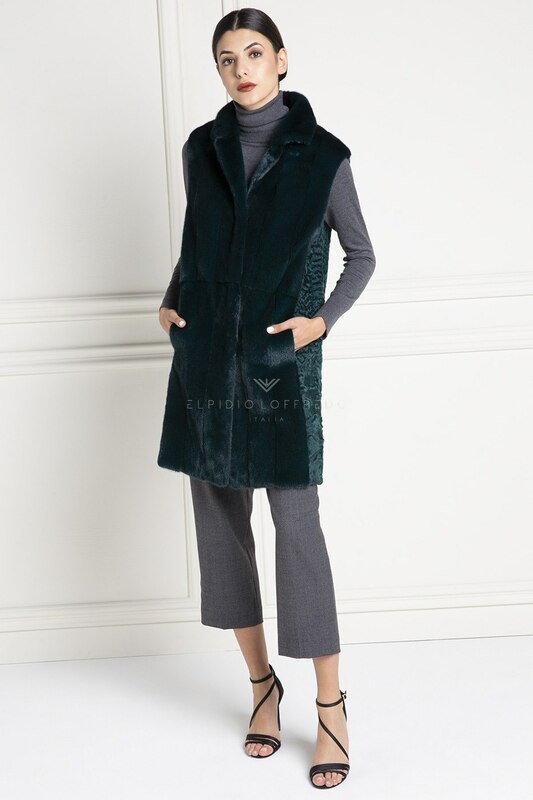 The ElpidioLoffredo Swakara furs collection, presents this elegant vest in green Swakara with Mink at an incredible price. 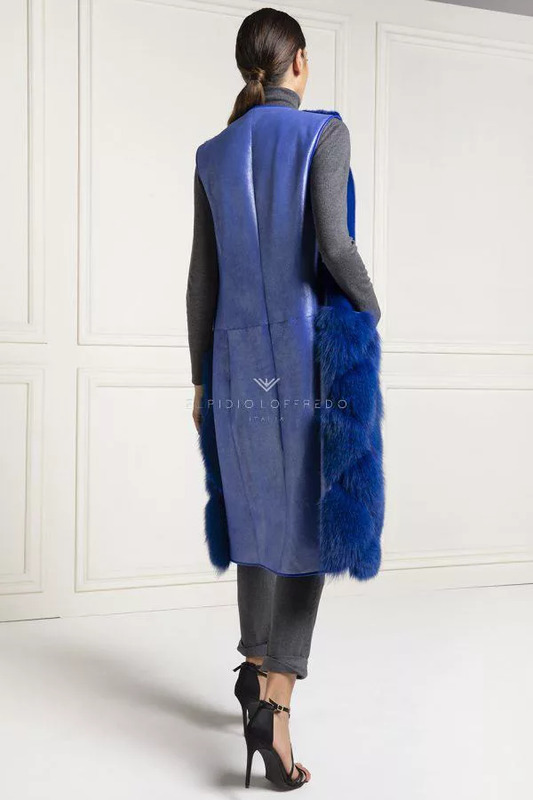 The peculiarity of this beautiful Swakara fur is the design dictated by the hair that highlights the quality. 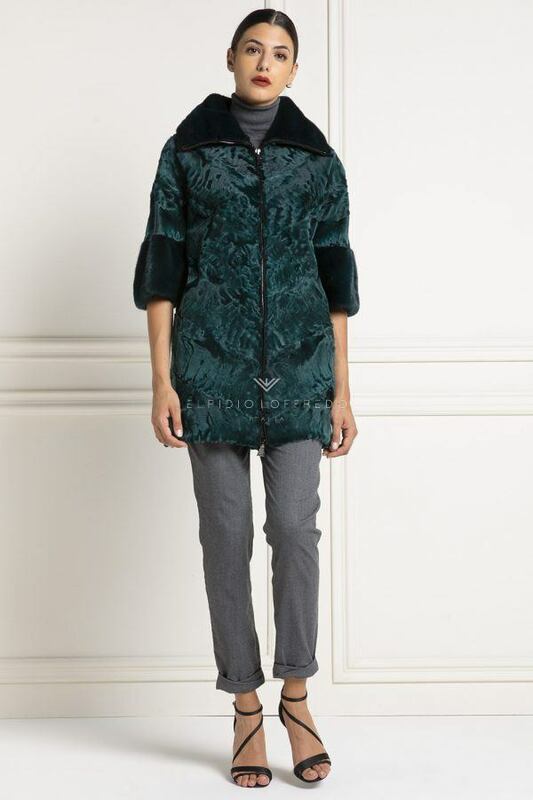 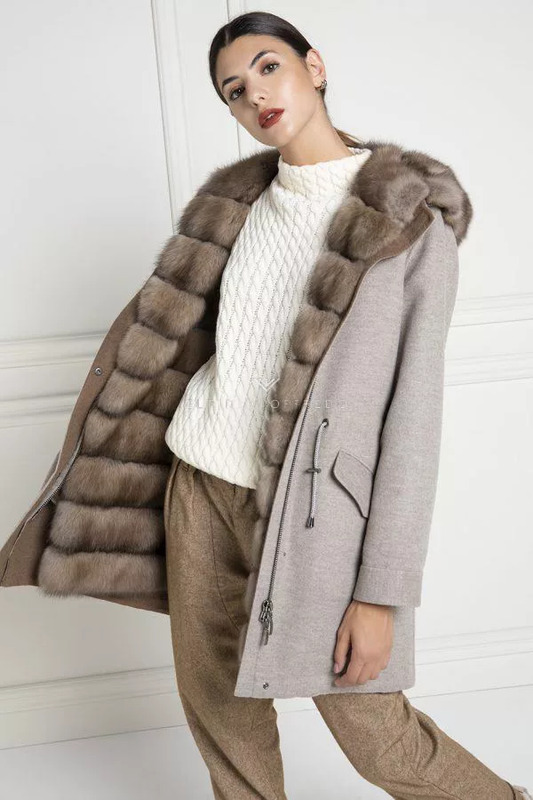 Also this coat of Swakara fur, like most of the collection, is made with Swakara of the highest quality Kopenhagen Fur. 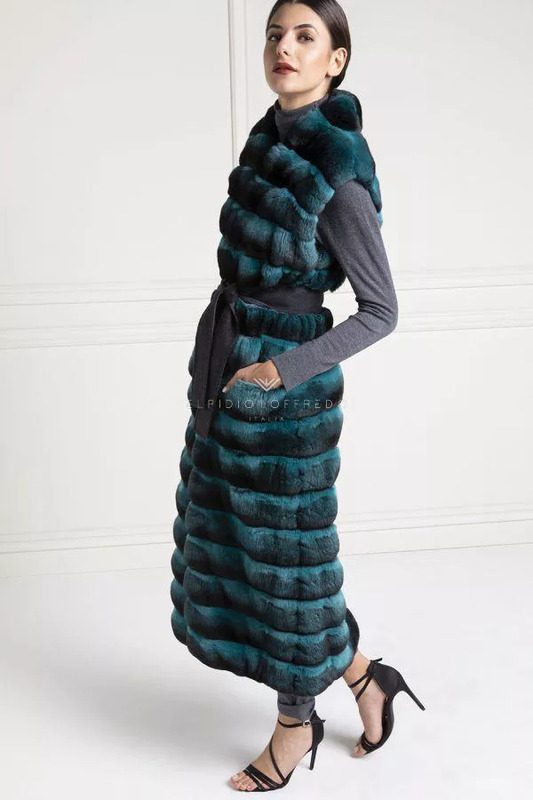 The main features that make this garment elegant are the rever collar and the hooks closure and the drawing drawn from the workmanship that give that extra touch of class. 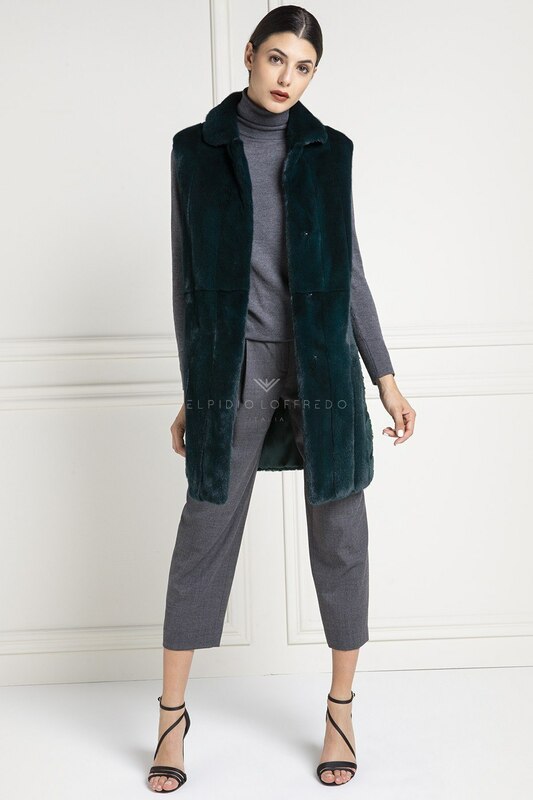 Order now this fashionable Green Swakara Fur at the best price of the Web, the shipment is free and very fast, and you will have the opportunity to make a purchase instalment. 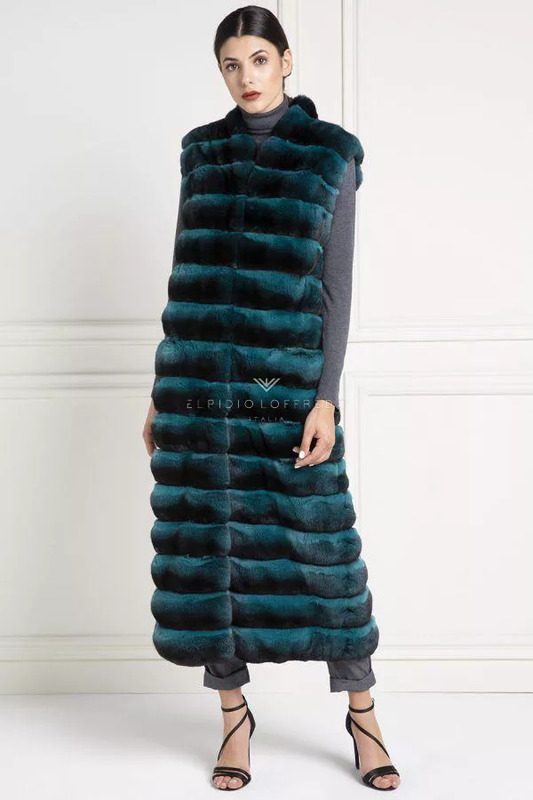 Swakara Fur with Mink and whole skins.